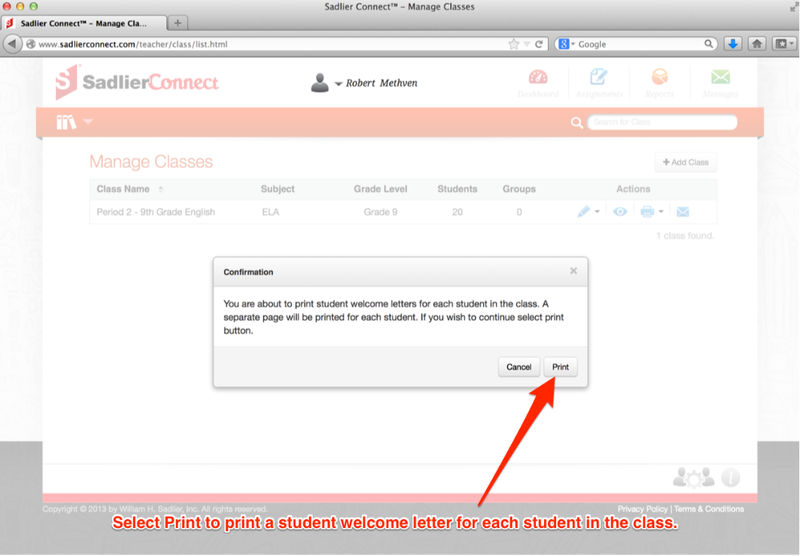 Sadlier Connect™ provides teachers with the ability to print welcome letters for students. These welcome letters contain the URL information to access Sadlier Connect™. It also contains the student's user name and password. This letter can be distributed to students and sent home to share with their family members. You can print a student welcome letter for an individual student from Mange Students. 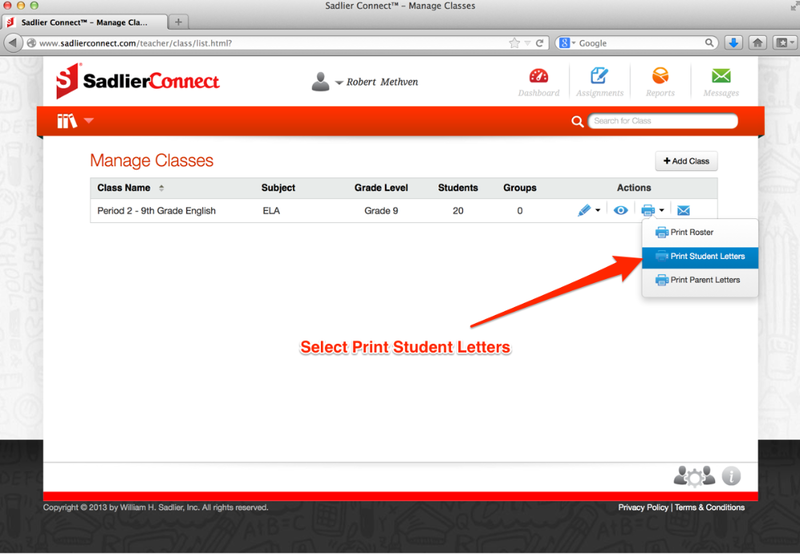 If you have a bunch of students, you would not want to have to go student by student to print these letters you can print letters by class from Manage Classes. 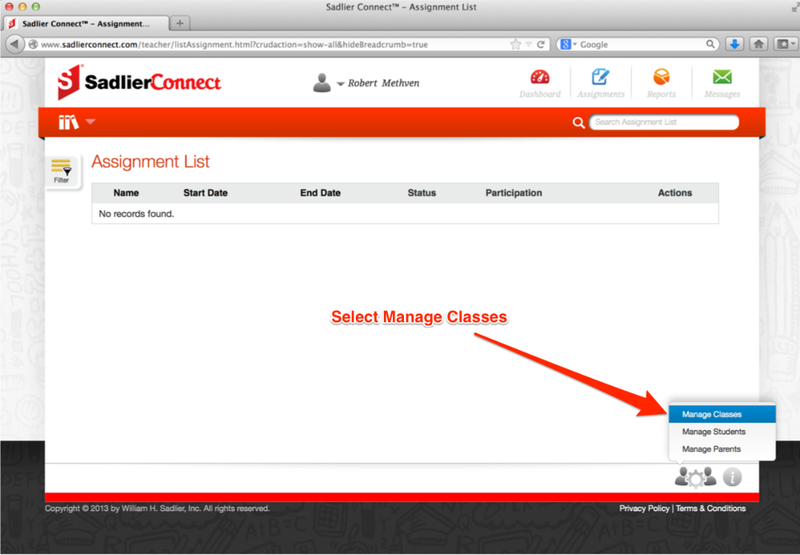 Select Manage Classes from the manage and settings icon. 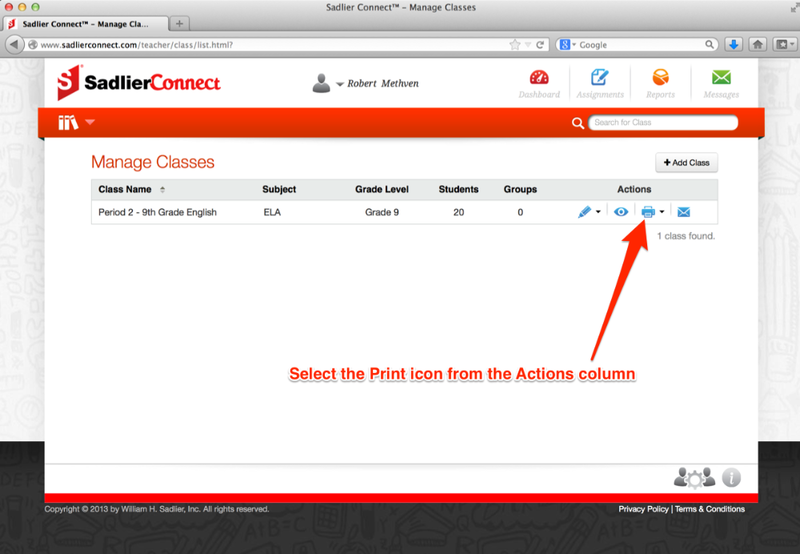 Select the Print icon for the class you want to print the student welcome letters. Select Print Student Letters from the print menu. You will be asked to confirm you want to print the student welcome letters. A student letter will be generated for each student in the selected class. 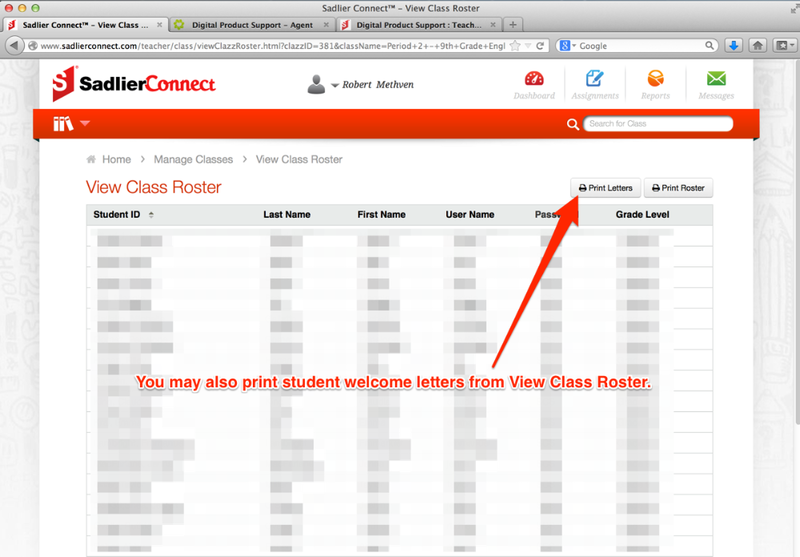 You can also print the student letters for a class from the View Class Roster in Class Management by selecting Print Letters.